I almost never get submissions from bands based in my hometown of Buffalo, New York. Not having lived there since 1981 I haven't a clue as to the music scene, so it arouses my interest when I do hear from someone in the snow belt. 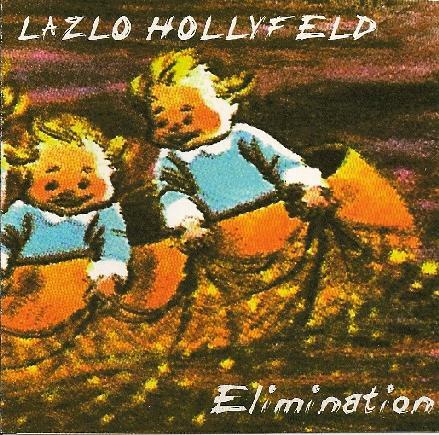 Lazlo Hollyfeld is an all instrumental quartet consisting of Jeff Mcleod on guitar, Chris Gangarossa on bass, Scott Molloy on keyboards and Matt Felski on drums. Representative of the band's sound is "U.S. Deathsquads in Columbia", a tightly played and melodic indie/alt-rock tune, but with enough of a spacey ambient edge to make it all nicely cosmic. (A surprisingly upbeat song, given the title.) Death creeps in again, but with an obvious snicker behind it on "Death To All Snowboarders", a nice bouncy power rock tune with some prog influences thrown in. "Buffaloallamericacity" is similar but with more overt progressive rock influences. "The Rolling Stones" has a quasi-Allman Brothers feel in parts. "Patriot Day Massacre" is a cool Bluesy 70s styled heavy pop rocker. And "Cleota" goes in a different direction, being an all too brief psychedelic 70s styled jazz fusion jam. Like the great San Francisco band, Mushroom. I would have liked to hear this stretched out and developed more. All in all an enjoyable set of rock instrumentals. Now if you'll excuse me I've got an overwhelming urge for an order of hot wings and a cold Genny.